WAIPA IN REAL LIFE: MY FUN TRIP TO ANCHORAGE, ALASKA!!! MY FUN TRIP TO ANCHORAGE, ALASKA!!! I KNOW IT'S BEEN AWHILE SINCE I POSTED ANYTHING NEW. AS MOST OF YOU FOLKS KNOW, LAST WEEK I FLEW INTO ANCHORAGE, ALASKA TO DO SOME SHOPPING, HAVE SOME LEISURE FUN, AND MOST IMPORTANTLY... MEETING UP WITH MY KAHEALANI TO BRING BACK TO BETHEL, ALASKA FOR THE SUMMER!!! MY BRADDAS, KA'IWA AND IOKEPA ALSO JOINED ME ON THIS TRIP. WE ALL GOT FITTED FOR OUR TUXEDOS FOR IOKEPA & LUCILLE'S WEDDING. WE WENT TO "DIMOND TUXEDO". THE PEOPLE ARE VERY PLEASANT AND POLITE. THEY TOOK THE TIME TO GET OUR MEASUREMENTS AND THEY HAVE A WIDE SELECTIONS TO CHOOSE FROM. WE ALSO ATE AT THIS AWESOME RESTAURANT, "KANSHA" WHO SERVES LOCAL HAWAIIAN FOODS PLUS JAPANESE CUISINE!!! IF YOU CRAVING FOR HAWAIIAN FOOD, ORDER THE "KUKUI SPECIAL", IT COMES WITH EVERYTHING... JUST CHECKOUT MY VIDEOS ABOVE!!! I DEFINITELY RECOMMEND THIS PLACE TO EAT IF YOU ARE EVER IN ANCHORAGE, ALASKA. WE ALSO SHOPPED FOR LAST MINUTE WEDDING SUPPLIES AND SUMMER GEARS AND FOODS TO TAKE BACK WITH US TO BETHEL, ALASKA. FOR FUN & LEISURE, WE WENT TO SEE THE MOVIE, "THE AVENGERS" WHICH WAS AN AWESOME FILM AND I'D WATCH AGAIN IF I COULD. WE ALSO CHECKED OUT "ASIA GARDEN" FOR SOME KARAOKE FUN. AND LET ME TELL YOU... THESE PEOPLE CAN SING PRETTY DAMN GOOD!!! I GOTTA SAY THAT SOME OF THE GREATEST TALENTS ARE FOUND IN UNEXPECTED PLACES LIKE "ASIA GARDEN". THEY ALSO HAVE A FULL RESTAURANT WHICH I HAVE NOT EATEN BUT THE NEXT TIME I WILL. IF YOU LIKE A SIMPLE AND RELAXED ATMOSPHERE WITH GOOD MUSIC AND SINGING AND FRIENDLY FEELING, GO CHECKOUT THE "ASIA GARDEN". Alaska’s Premiere Island Reggae Band entertaining Alaskans and Pacific Islanders far away from home. Based in Anchorage, Alaska, H3 brings you Island Music and Roots Reggae Music that is well known in Hawaii and Jamaica. H3 has been voted “Best Original Cover Band” by the Anchorage Press in 2003-04-05-06-07. 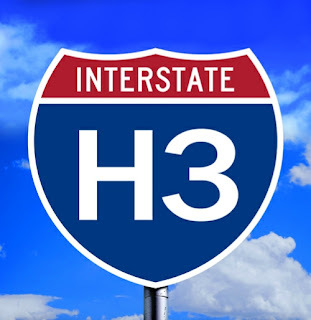 H3, with their uplifting music, will bring you back to the islands. From private gigs to bar gigs and concerts, H3 has traveled throughout Alaska spreading our Reggae Vibes. We have been blessed to have taken the same stage with or opened up for acts like Kapena, Fiji, Makaha Sons of Niihau, Kalai, J-Boog, Norm, Ekolu, The Whalers, The Young Dubliners, Medicine Dream and Pamuya. We would like to thank all of our friends and fans that have supported us and to all the clubs that promoted us and our music. To the musicians that have come and gone with H3, thank you for your knowledge of music that you have given to us. I FOUND OUT "H-3" WAS GONNA PLAY LIVE MUSIC AT THE "BLUES CENTRAL" BAR. I'M GLAD WE ALL WENT TO GO SEE THEM PLAY. THEY BROUGHT THAT GOOD ISLAND FEELING VIBES THAT I MISS SO MUCH FROM HAWAI'I... AND TO HEAR THESE GUYS PLAY UP HERE IN ALASKA... MY HATS OFF TO THEM FOR SHARING & SPREADING THE "ALOHA FEELING" THROUGH THE MUSIC!!! I COULDN'T FIND A WEBSITE ON "H-3", BUT YOU CAN GO TO www.events.adn.com AND TRY TO LOOK THEM UP UNDER THE LIVE MUSIC/REGGAE. AFTER A BUSY AND FUN WEEKEND... WHAT'S THE BEST WAY TO RETURN BACK TO BETHEL, ALASKA??? WITH MY DAUGHTER, KAHEALANI!!! 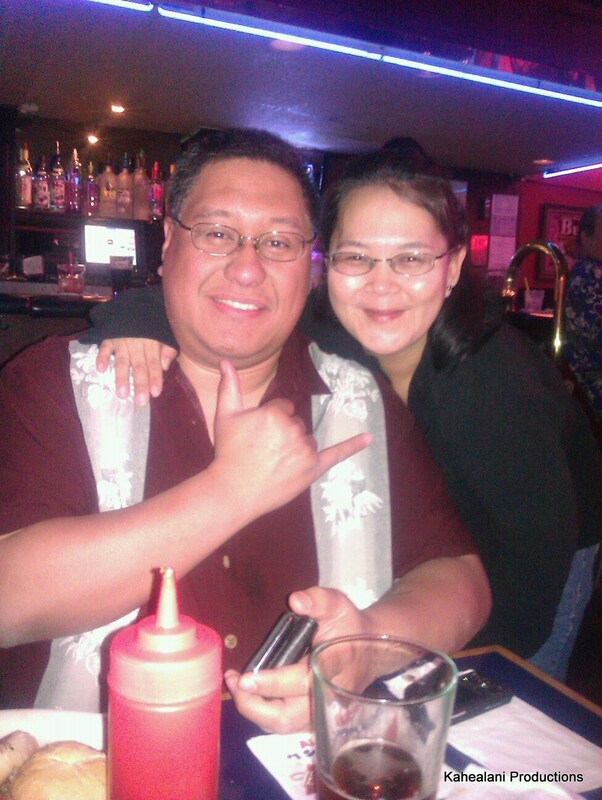 SHE FLEW IN FROM HILO, HAWAI'I ALL THE WAY TO ANCHORAGE, ALASKA. I MET UP WITH HER AND THEN WE BOTH TRAVELED BACK TO BETHEL, ALASKA!!! DADDY IS SO HAPPY TO HAVE YOU FOR THE SUMMER!! !